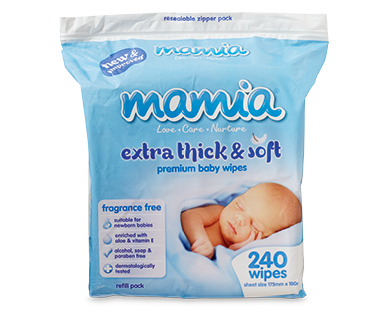 Extra thick and soft for gentle cleansing. Suitable for sensitive skin. Each wipe contains a hypoallergenic, alcohol free lotion with natural aloe, chamomile and Vitamin E to help soothe baby's skin. Canstar Blue ratings are based on customer satisfaction. By this, Canstar Blue hopes to allow consumers to know what other customers think about a category to help with your next purchase. See more details.